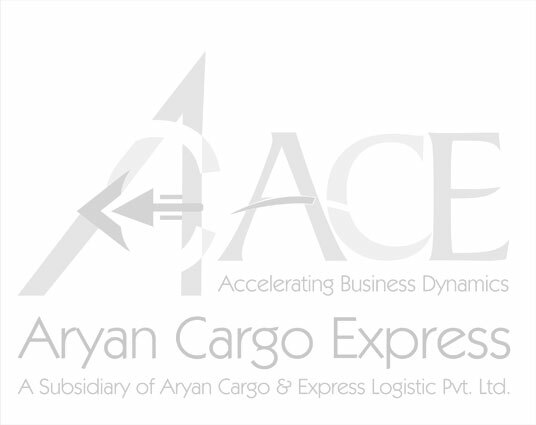 Aryan Cargo Express (P) Limited (ACE) is a subsidiary of Aryan Cargo & Express Logistics (P) Ltd. ACE was incorporated in Dec.2005 in India as a Cargo Airline. ACE has been granted NOC (No objection certificate) Ministry of Civil Aviation, Govt. of India to commence cargo operations from India. ACE will commence its operations shortly from & to India across the globe. ACE is a Non-Integrated carrier of Goods providing Airport to Airport freight transportation service. ACE aims to build into a reliable macro level connectivity cargo airline for its customers . And , act as an air bridge between India and rest of the world with best human efforts and state of the art IT support to provide Swift, Sure and Sharp logistic solutions to world business. ACE will span the complete SAARC as one single primary market and provide connectivity within SAARC and connect SAARC with South East Asia, China and Middle East, CIS and Europe in the first phase itself. In the second phase, we plan to provide connectivity to Far East, North Africa and Australia-New Zealand. During this phase, ACE will provide inter-regional and intra-regional connectivity within these markets. Subsequently, in the third phase, ACE's operations will extend to the American continent . And with this, ACE will mature into a Global Cargo Carrier, providing connectivity not only within its own markets but also providing connectivity to other small regional Cargo carriers.